I tried to believe her and keep my eyes straight ahead, but I saw a sign for a seal colony and my excitement clouded my judgement. 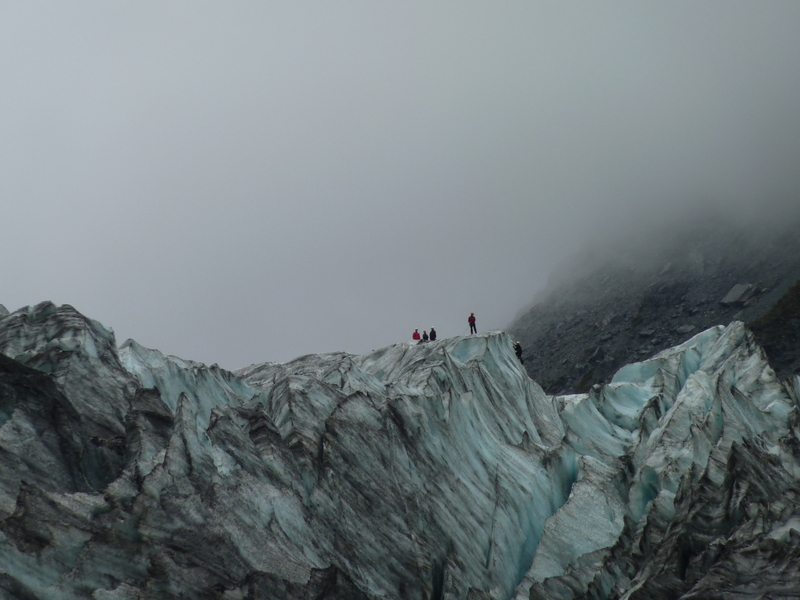 It was a clear morning and the immensity of Fox Glacier glistened against the green mountains of Westland / Tai Poutini National Park. 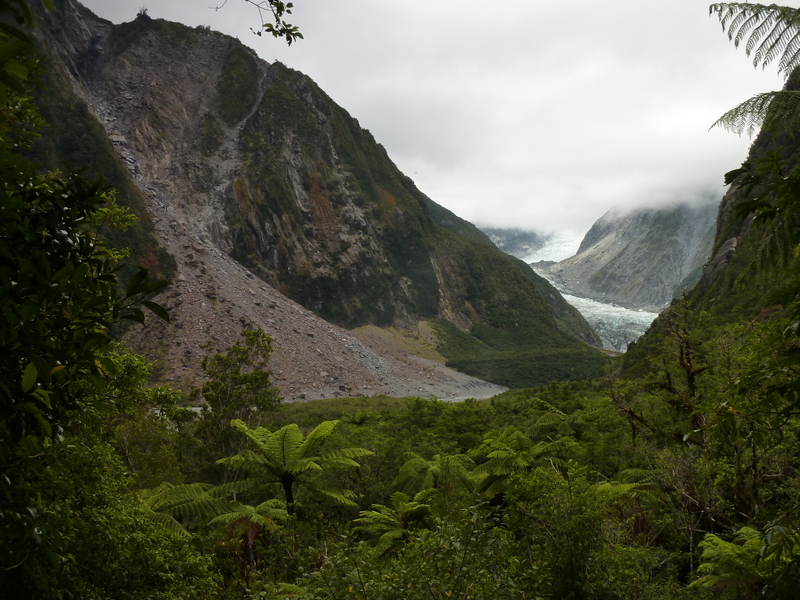 I had taken a windy, dirt road 26 kilometers west out of the tiny service town of Fox Glacier, past a small old cemetery, towards Gillespies Beach. 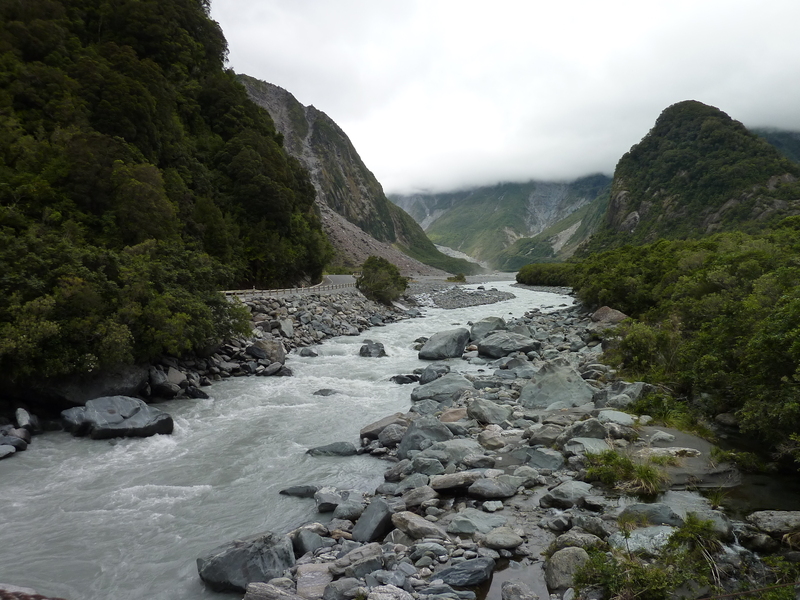 Looking back east as I arrived at the coast, puffs of white tucked themselves into the deep crevices of the Southern Alps as the atypical sunny morning gave way to a familiar, brooding haze. I drove past the remains of a former bustling miners settlement to a small car park at the beach. The sign read, “Seal Colony Walk: 3hr 30 min walk to the Seal Colony at remote Galway Beach.” I had never seen a seal colony before (that I can remember), and the thought conjured up an assortment of wild images. I grabbed some food from the car and started the trek on a path just above Gillespies Beach through the prickly bush. Ten minutes into the walk, I came to a lagoon. Behind me lay the bush, ahead of me the rainforest, and to my left the beach. In a moment of disoriented wonder, I lost the track and went bumbling through the rainforest. 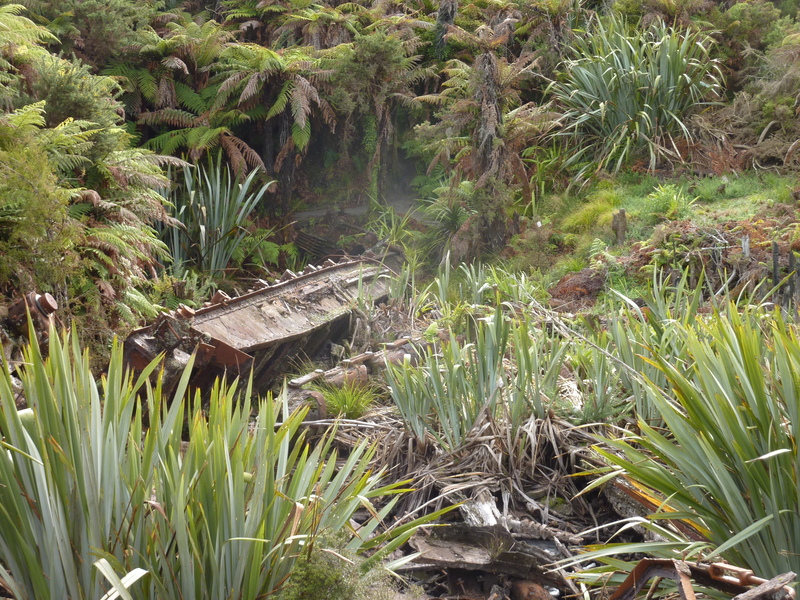 Retracing my steps, I made my way back to the lagoon, which housed the rusty remains of a mine dredge, a relic of Gillespies Beach’s history as one of New Zealand’s first gold mining settlements in the 1860’s. 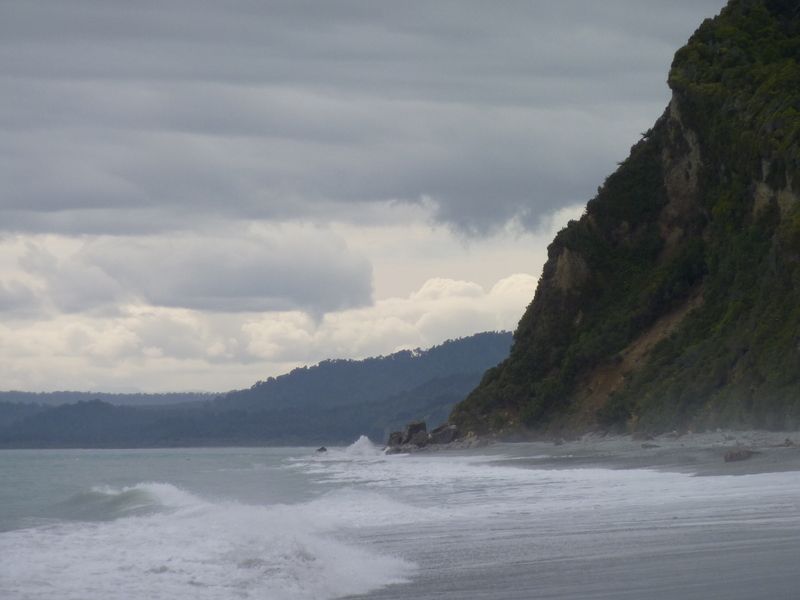 The trail, led me to the windswept beach as I headed north towards a distant cliff. 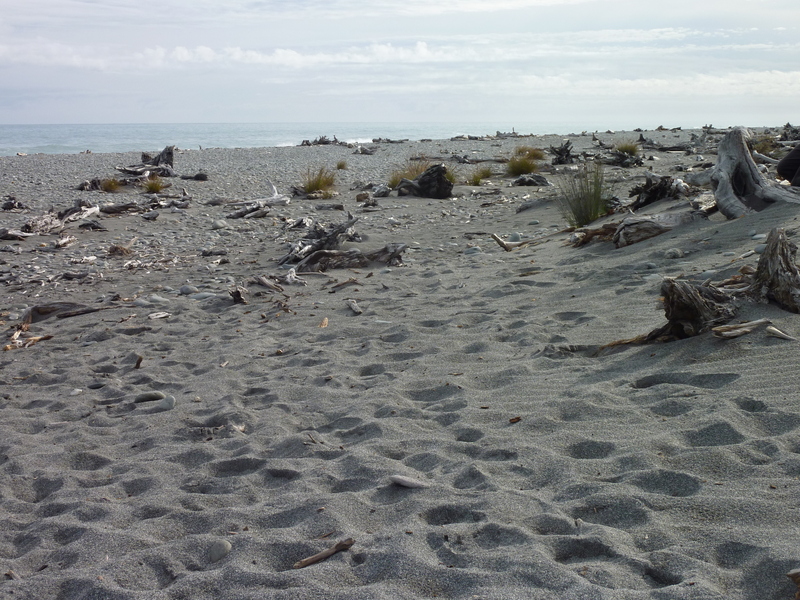 Above the gray ironsands lay a striking natural wasteland of driftwood and beach stone. 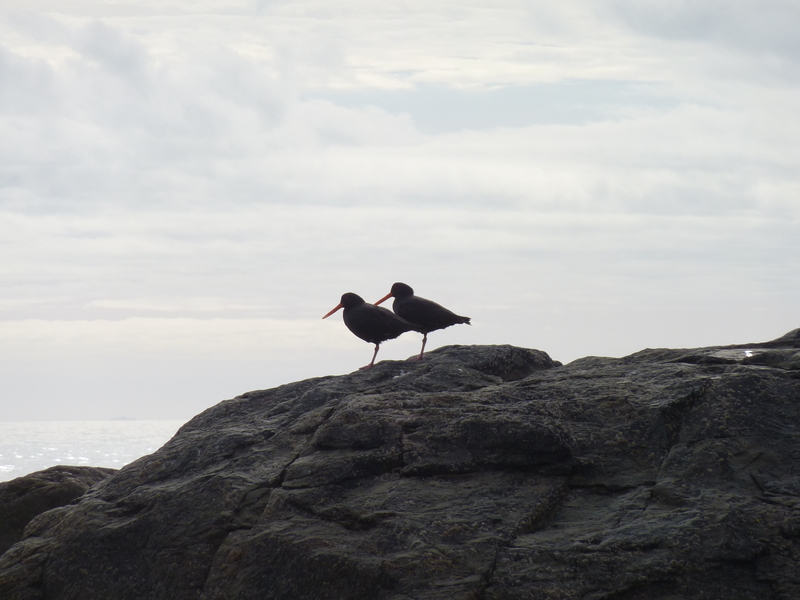 The rough waves of the Tasman pounded the shore as a pair of oystercatchers stood at watch from the comforts of their rocky post. 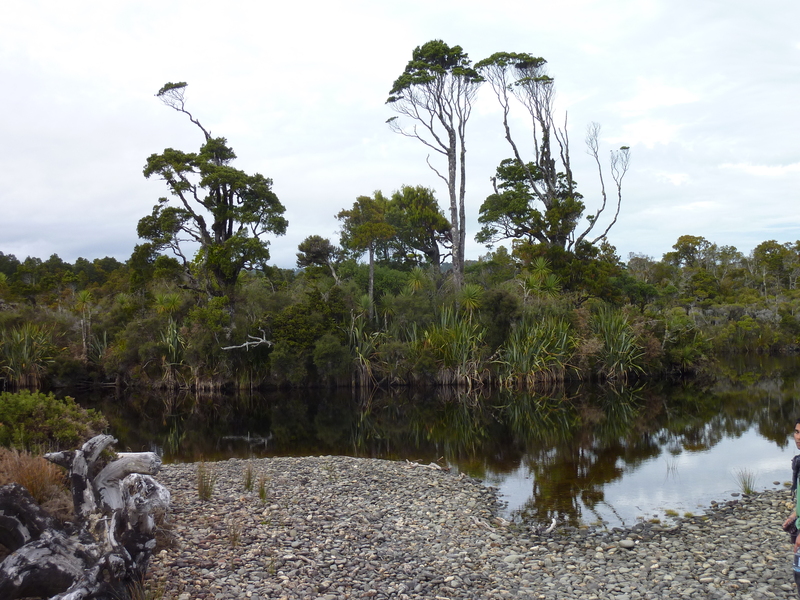 After thirty minutes of beachcombing, I reached another lagoon and a system of bridges ushering me away from the beach and back into the rainforest on an old miner’s track. Not far into the rainforest, I came across more evidence of this area’s golden history. 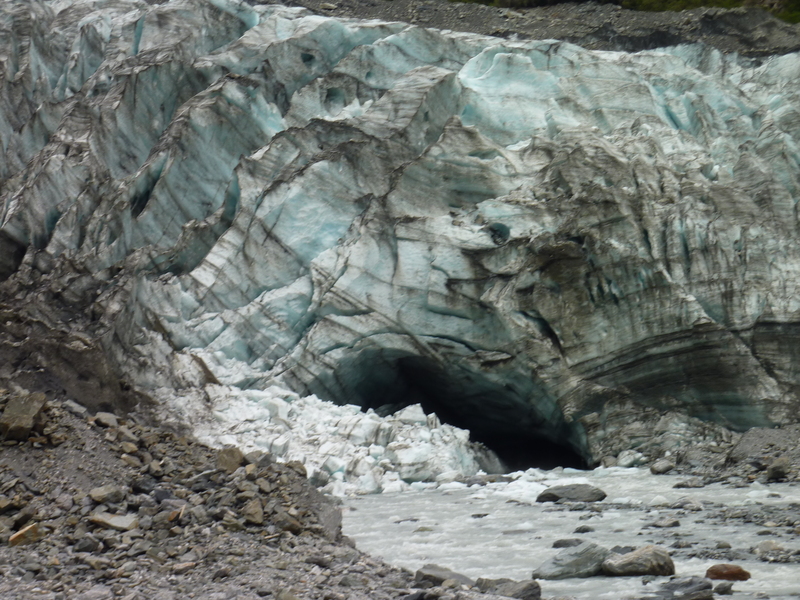 Entering a tunnel cut to offer easy access to deposits on the northern side of the headland, I was offered a spectacular panorama of the rocky shoreline and the vast Tasman Sea. I stepped out of the damp tunnel and back into the rainforest to the pitter-patter of a soft drizzle. The track went on for another hour-and-a-half uneventfully until I caught my first glimpse of the remote Galway Beach. By this point, I had sprinted down the path, stopping only to calculate muddy crossings. 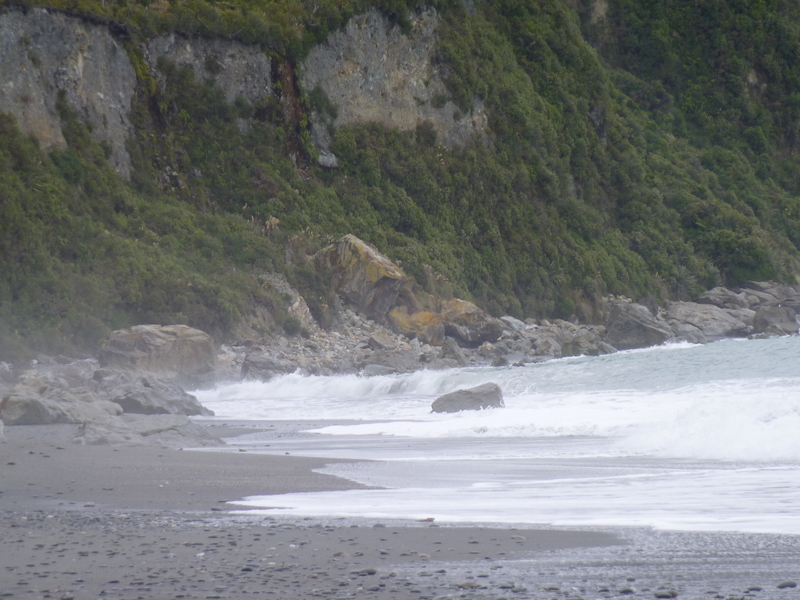 I was so excited to set my eyes on the massive colony of fur seals, but all I saw was a deserted beach. Upset, but undeterred, I assured myself that this clearing in the forest did not give me the necessary scope I needed to assess the entire beach. Climbing down a ladder to the shore, I walked away from the cliff towards the pounding waves of the sea. I looked to the right, to the left, in every direction… nothing. Using my camera as a binocular, I made use of the 12x zoom, scanning the sea until I saw a hint of gray flailing about on a distant rock. It was no colony, but I had found a solitary seal. I pleaded with him to show me to his family, to take me to the colony. I tried to talk seal (making noises similar to those used to call another kid a retard in 6th grade) but it was hopeless. 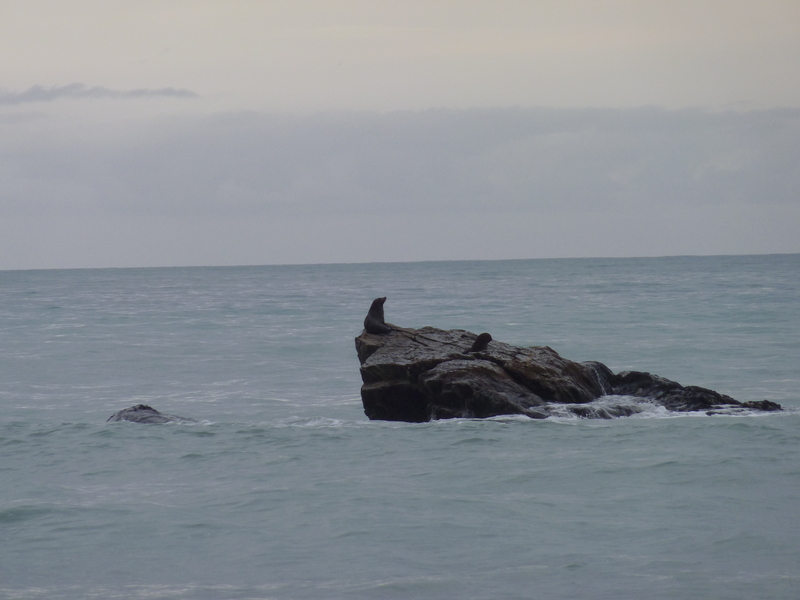 Eventually, one friend emerged and the two seals flopped around on this solitary rock, 25 meters from the shore. I walked down the lonely beach towards the cliffs on either end but could see no sign of further life. I considered rounding the bend of each cliff but, taking into account the late hour, turned back, climbed up the ladder, and walked through the rainforest, wet and disappointed. Desiree could not stop laughing having heard I fell victim to the lure of the Kiwi’s signs. 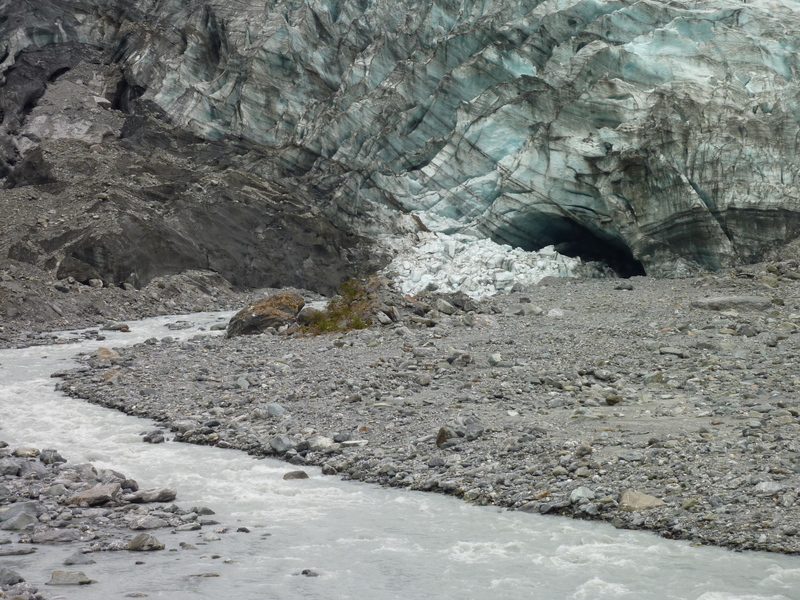 “In New Zealand, there are more flyers and signs than there are attractions.” I vowed to do more research and consult my Lonely Planet before falling for these traps again. That night at the pub, I shared my disappointment to a group of Kiwi’s and poked fun of them for conning all of us foreigners with false promises. This comment both amused and confused them.